Two Din Car DVD Players. One Din Car DVD Players. 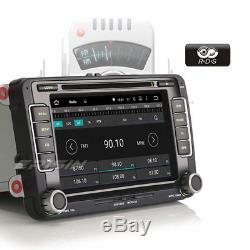 Autoradio cd GPS y Navegación For VW PASSAT GOLF JETTA LEON TOLEDO CADDY 7698VGS. 2 din Car Reproductores DVD GPS Navegación USB MP3 Bluetooth 3G DVR TDT 7005GGS. 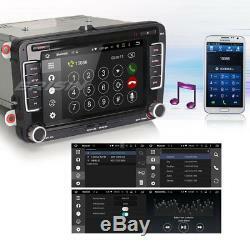 Android 5.1.1 DAB+ Reproductores DVD GPS Navi BMW E46 M3 Rover 75 MG ZT 3062BGS. Android 5.1.1 Radio Car DVD GPS for VW Passat Touran Golf Seat Altea Leon 4698. This unit is the best android unit on the market, the most functions can be compared with your smartphone 7 All-in-One Design for VW with built-in. 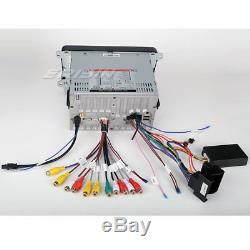 Support OPS/Radar/OBD/Backing Track Link/Air Climate Control Display. Android 5.1.1 OS. 1024600 HD Capacitive Touch Screen. 1GB RAM, 1.96GB ROM and 11.52GB Internal Storage. It has special Port for Digital TV Box, you can connect our. 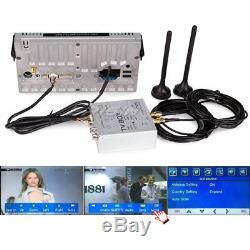 HD-DVB-T Box to achieve touch operation. And this item can power on the connected DTV Box. Just connect with our DAB+ Box to use this function. And built-in DVR System, just connect with a USB Camera to use Car Record function. The records will be saved in Nand Flash/GPS Card/SD Card/USB Storage automatically, and you can play saved record on this unit directly. Support Mirror Link for iPhone and Android SmartPhone. Support Torque Pro (OBD2 & Car). You can connect a ELM327 Bluetooth OBD2 Scanner Tool to use this function. Most popular and strongest function: Android 5.1.1 OS, 1024600 HD Capacitive Touch Screen, Quad-Core 1608MHz CPU, 1GB RAM, 1.96GB ROM, 11.52GB Internal Memory, support 32GB External, 1080P Videos/live images/2160P Photos, PDF/WORD/TXT/EXCEL, Audio/Video/Photo media Player. Surf Internet through 3G or WiFi. Support Google online Navi and Android maps Navi. Get access to thousands of apps, games on the Google Play Store, keep connected through Twitter, Facebook, Gtalk, Gmail, WeChat, Skype and other services, play popular games like Fruit Ninja, Feed the Candy, Angry Birds, Big Fish, Air Attack... This unit will fit the following car model: For VW PASSAT CC (2008 to 2013), PASSAT (2005 to 2013), Golf 5 (09/2003 to 2013), Golf 6 (08/2008 to 2013), Tiguan (2007 to 2013), Touran (2003 to 2013), EOS (2006 to 2013), Jetta (2005 to 2013), Caddy (2003 to 2013), Sharan (2010 to 2013), Amarok (2010 to 2013), Scirocco (2008 to 2013), Polo V 6R (2009 to 2013), Multivan T5 (2010 to 2013), New Bettle 2 (2011 to 2013). SEAT Altea (From 05/2004), Leon (From 09/2005), Toledo (From 12/2004), Altea XL (From 04/2007) Note: This unit has. 220mm(Top width)130mm(High)210mmBottom width. Built-in Dual Channel CanBus Decoder incl. Support display Car OPS/Radar, A/C Control and Backing Track Line - Google Android 5.1 Operation System, Beautiful and fashionable UI Unique Design - 7 Five-Point Touch Capacitive Screen, 1024600 HD Digital Screen---The Resolution is just like your iPad - Quad-Core RK3188 1.6GHz Cortex A9 CPU, 1GB RAM, 1.96GB ROM, 11.52GB Internal Memory - Support extended Media Card/GPS Card/2 USB Stick up to 432GB - DIY Main Menu Display: You can drag Search Bar, Music/Radio/BT-Stereo Player, Apps or other Bookmarks on main menu to display - Built-In Clock and Calendar, Clock/Date/Week/Time Zone adjustable, can use GPS or network-provided time - Multi-Languages: it has more than 70 languages to select, just check it in our pictures - 8 Panel light colors, and you can setup hundreds of colors via RGB Combination - 5 live wallpapers, 21 wallpapers, support DIY User's wallpaper from Gallery Pictures - Built-in WiFi Modem, support 802.11b/g/n WLAN Standard, High Performance, Low Power Consumption - Support 3G Internet, support extral USB Dongle: WCDMA, EVDO, TD-SCDMA. Support Google Maps online Navigating, you can use GPS Navigating if you are in Internet - Support Android Maps Navigation, Free 8GB TF Card will be in parcel contents included - Support Android Multimedia Player, it can play Music/Movie/Photo from local Disc or USB/SD. Online Entertainment, support online video, TV, movie, music, radio, Youtube, Yahoo, MSN - Online Communication, keep connected through WeChat, Twitter, Facebook, Gtalk, Gmail and other services - Support read and edit Official Software, WORD/EXCEL/POWERPOINT/PDF/TXT. Support Google Play Store, you can download thousands of Apps from here and you can download many popular games like Fruit Ninja, Feed the Candy, Angry Birds, Fieldrunner, speed forge 3D... Support 3D Games, HD Video, 1080P, H. 264, Divx Live images Formats - Support HD Videos up to 19201080 pixels, Photo up to 40964096 pixels - Support Bluetooth hands-free function, built-in microphone and external microphone Jack. The records will be saved automatically in Nand Flash/GPS Card/SD Card/USB Storage and you can play saved record on this unit directly. Built-in DAB+ System, just connect a DAB/DAB+ Box with USB Port to use this function. Support Digital TV Box input, Touch Control and Power supply - Support Rear View Camera input and reverse trigger Control - Support Steering Wheel Control, Hand Brake Control - Electronic Anti-Shock, Last Position Memory. ES4698V 7 Quad-Core Capacitive Android 5.1 Car Multimedia Player GPS/WiFi/3G/DVR/DTV-IN/DAB+.. Power Supply: DC 12V (allowance range: 10.8-14.5V) - Max. Current: 10A - Screen Size: 7 inch - Front panel Size: 220mm(Top width)130mm(High)210mm(Bottom width) - Package Size: 340mm270mm190mm - Gross Weight: 4.0kg - Net Weight: 3.1kg. Operation System: Google Android 5.1.1 - CPU: Rockchips RK3188 1608MHz - ROM: 1.96GB - RAM: 1GB - Internal SD Card: 11.52GB - Extended SD Card: Support TF Card up to 32GB. Touch Screen: Yes - Resolution: 1024600 - Capacitive or Resistance Screen: Capacitive - Built-in Clock and Calendar: Yes, show real time and can use network-provided time - DIY main menu display: Yes, You can drag Music/Radio/BT Stereo Player, Search bar or App-Icon to main menu - Change Apps-Icon Position: Yes. Connector: On the Back - WiFi: Built-in WiFi Modem, support 802.11b/g/n - 3G: 3G Modem not included, 3G universal Drive, support external USB Dongle: WCDMA, EVDO, TD-SCDMA. Explorer: Opera, UCWeb, SkyFile, Dolphin and more explorer for your selection - Online Entertainment: Online Video, TV, Movie, Music, Radio, Video Chat - Online Navigation: Online Google Maps Navigating - Online Games: Yes, online play or you can download it from google play store - Online Communication: keep connected through WeChat, Twitter, Facebook, Gtalk, Gmail... Read and edit Office Software: Yes, support Word, Excel, Powerpoint, PDF, TXT. Could play via song list - Record: MP3, WMA - Other: LRC synchronized display; ID3 search; Search by files; Album Picture; User-defined audio effect - Audio IC: Top Global Cirrus IC, independent audio decoding - SNR: Noise rations:=90dB. Operation System: Android 5.1.1 - Support Maps: IGO, SYGIC maps for Android 5.1.1 - Free 8GB TF Card included: Yes - Voice Guidance: Yes - Support 2D/3D Map Views: Yes - Dual Zone: Yes, navigating while music playing - Online Navi: Yes, support google maps online navigating. Auto-Save Function: Yes, expediently watch all kinds of disc continuously. Hands Free: Yes - A2DP (Bluetooth Stereo Music): Yes, can play stereo music through Bluetooth - Bluetooth Music Control: Yes, play/pause/previous/next - PB-Download: Yes, can download phonebook from mobile to this unit - PB-Search: Yes, can use the first letter to search contact member in PB-Listings - Calling Records: Yes, Dialed Call, Received Call, Missed Call - Setup: Auto Answer, Auto connect, Device name - Built-in Microphone: Yes, on the front panel - External Microphone Jack: Yes, on the back. Position: 2 USB On the Back, can be connected with Media/3G/Camera/DAB+ Box/Smartphone - Capacity: 32GB - Play MP5 Videos: Yes, can play RMVB Videos up to 1080P - Touch Music Title to play directly: Yes. Position: On the front panel, Media or GPS Card Slot optional - Capacity: 32GB micro SD/TF Card - Play MP5 Videos: Yes, can play RMVB Videos up to 1080P - Touch Music Title to play directly: Yes. Built-in Car Recorder App: Yes, just connect a USB Camera to use this function - Support HD CCD Camera: Yes - Play recorded Video directly: Yes - Storing Position: Nand Flash/GPS Card/SD Card/USB Storage can be changed. Built-in DAB Player App: Yes, just connect a DAB+ Box to use this function - Connection Port: USB - Power Supply to DAB+ Box directly: Yes - Touch Control DAB+ Box on unit: Yes. Built-in Digital TV Tuner: No - External Port for TV Box: Yes, Support DVB-T/ATSC/ISDB Box - Power Supply to TV Box directly: Yes, you can connect our TV Box to achieve this function - Touch Control the TV Box on unit: Yes, you can connect our TV Box to achieve this function. Textbook: Could change font, font color, background color, bookmark, reading E-book while listening music - Photo Viewer: Support JPS, BMP, PNG, GIF etc. Play by revolve, Powerpoint Support 40964096 Pixels - Wallpapers: 5 live wallpapers, 21 standard wallpapers, support DIY wallpaper from Gallery - APK Installer: Support Android Package installer - Support Torque Pro(OBD2 &Car): Yes, you can connect a Bluetooth OBD2 Scanner Tool to use this function - Support Mirror Link function: Yes, support screen mirroring from iphone and Android Smartphone. WiFi/Hotspot/Bluetooth: Yes - Brightness level adjustable: Yes - Wallpaper: Wallpapers/Live Wallpapers/Gallery - Sound: Key Tone & Volume - Storage: Display Internal Storage/Nand Flash/Connected Device Storage - Apps: Running Apps display/force stop/uninstall - Element: 8 Panel light colors, support RGB Combination - Security: Yes - Accounts: Yes - Languages and Input: more than 70 Languages and choose input method - Backup and Reset: Yes - Date and Time: Setting Date&Time by yourself or choose GPS/networt-provided time - Accessibility: Yes - GPS: Yes, GPS application options/monitoring/sound mode/mixing ratio - Driving safety: Watching Video, Reversing X-mirror/Volume, Reversing Trajectory/radar Display, Rear view ruler - Amplifier: Rock/Pop/Jazz/Classic/Flat/Voice/Custom - Steering Wheel Control: Yes - Factory Settings: Code 3368, choose Radio Band and 88 Open-Unit-Logos - About Device: Display Parameter Info. AUX Video In: One - Rear-View Camera Video In: One - External Microphone In: One - AUX Audio In: R/L - DTV Box In: One - DAB+ Box In: One - Car DVR In: One - Radio Antenna In: One - GPS Antenna In: One. Video Out: Two - Audio Out: FR/FL/RR/RL - Surround Stereo Out: 450w - Subwoofer Out: One. 1Power Cable with special Connector - 1Special CanBus Decoder Box - 1RCA Cable - 1USB OTG Cable - 1Radio Antenna Adapter Cable - 1GPS Antenna - 18GB TF Card. Vendemos a los países europeos, por favor atienda que no vendamos Canarias, Reunión, Martinica, Guadalupe, Francés Bolivia y así sucesivamente Islas las colonias o las islas accesorias. Todos los artículos se despachan desde UK, los clientes de unión europea no necesitan pagar ningún impuestos. El precio no incluye el costo adicional de tramites de los lugares lejanos. Si su dirección pertenece a los lugares lejanos, tiene que pagar un costo adicional de costo de trámite de EUR 25, y este costo se cobra por nuestra empresa en el nombre de la empresa de envío. Antes de pagar, por favor confirma de su dirección. Para las direcciones incorrectas o direcciones de no poder llegar, no somo el responsable de sus productos. De una vez que se despacha el artículo: - no se puede cambiar la manera de despachar - no se apoya a recoger por sí mismo. No se puede cambiar la dirección de recepción. Si hay tal signo después de que dos de entrega, la empresa de mensajería devolverá el paquete. En este punto, si la petición del comprador más una reedición, el comprador será reembolsado a soportar los costes y el honorario de re - entrega. Las disposiciones anteriores para la empresa de entrega urgente, espero que usted pueda comprender y prestar atención a este punto. Direcciones que no vamos a enviar. Se van a enviar dentro de 24-48 horas el artículo (aparte de fin de semana y festivos) - Por favor, deje su número de teléfono para el envío. Nosotros lo guardamos en secreto, no te preocupes. Gracias por su cooperación y comprensión - En generalidad, en 3 hasta 8 días se puede recibir loa artículos, no se apoya en recoger por si mismo. Por favor paga el articulo como mucho 5 dias despues de realizar el pedido. Somos vendedores de la localidad de UK, ofrecemos servicios de postventa de la localidad de UK, todos artículos disfrutan 1 años de garantía. Para las devoluciones por no daños, se va a cobrar ciertos costos de trámites y tratamientos. El cliente paga los fletes de devoluciones, el vendedor paga el flete de reenvío. No ofrecemos garantías en casos siguientes: - Excesivo desgaste anormal, la contaminación, el uso, la instalación, accidente - Se hace la aperatura y mantenimiento por los no profesionales - Los daños por el empaque incorrecto durante el proceso de devolución - Si usted no recibe el artículo o artículos de una manera oportuna de cualquier artículo recibido, por favor póngase en contacto con nosotros primero, no se dé el voto negativo o abrir un conflicto de. Erisin es una empresa de rápido desarrollo con sede en Hong Kong y sucursales en Shenzhen (China), Londres (Reino Unido), Karlsruhe (Alemania), Sydney (Australia) y Los Ángeles EE. Erisin tiene 8 años de experiencia en el campo Sistema Multimedia de coches, técnico y servicio al cliente muy profesional equipo, hasta ahora tenemos muchos revendedores y caída de los cargadores en todo el mundo, también podemos satisfacer casi todas las necesidades de nuestros clientes. Erisin tiene equipo de servicio al cliente profesional, listo para proporcionar servicio de envío rápido estupendo. Soporte técnico profesional puede solucionar ningún problema, también antes de enviar, nuestro técnico se compruebe el producto cuidadosamente para asegurarse de que todo está bien. Si no está satisfecho, por favor háganoslo saber. Haremos todo lo posible para ayudarle. Más de mejor calidad, más barato el precio y el producto más de moda es nuestra persigue! Nosotros trabajamos de 8:30 a 18:00 (hora de HongKong). Enviar correcos para nosotros si enuenta algún problema, vamos a responder en seguida. RADIO GPS Car DVD Player Navegación For VW PASSAT GOLF SEAT LEON TOLEDO 7900VGS. 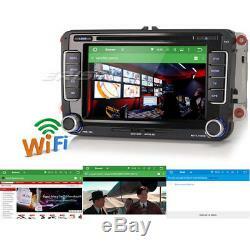 GPS y Navigation Car Radio DVD Player bluetooth 3G DVR For SKODA OCTAVIA 7699MGS. 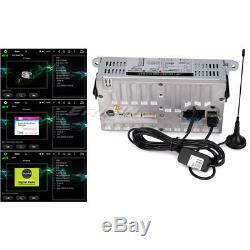 7HD Car Radio dvd gps OPEL Astra Corsa C/D Vectra C Zafira Signum Combo 7681PGS. 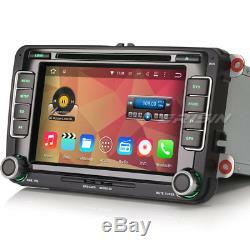 Car radio bluetooth cd usb mp3 car dvd gps 3G wifi 800MHz CPU Dual Core 7610MGS. Car Autoradio GPS Navegación FORD FOCUS MONDEO S-MAX C-MAX KUGA FIESTA 7301FGS. Coche Reproductores DVD Radio 3G OPEL Astra Corsa Vectra Zafira Meriva 7060PGS. Android 5.1.1 Car Radio DVD CD GPS Opel Corsa Vectra Zafira Astra Signum 3060PGS. 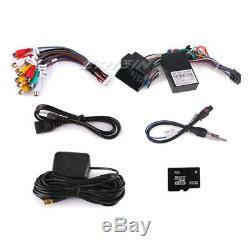 2 din Coche Reproductores DVD Radio GPS y Navegación bluetooth Ipod 3G 737GGS. 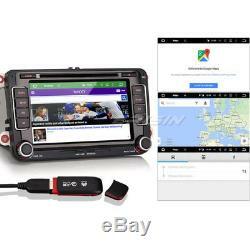 The item "Android 5.1.1 Radio Car DVD GPS for VW Passat Touran Golf Seat Altea Leon 4698" is in sale since Thursday, July 23, 2015. This item is in the category "Motor\ recambios y accesorios\Coche\ Hi-Fi, GPS y tecnología\Reproductores DVD". The seller is "autop-centre" and is located in London. This item can be shipped to European Union member countries.